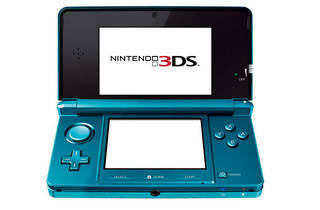 Promising the first public demonstration of the Nintendo 3DS, a hand-held game console boasting 3D vision without the need of glasses (call us stupid, but isn't that what eyes do anyway? ), this free, 3-day event will be heaven on earth for fans of the Nintendo DS - of which, we have no doubt, there are many. Expect long, snaking queues and vast crowds, but also expect to see some of the latest games and programs, including Hideo Kojima’s Metal Gear Solid Snake Eater 3D The Naked Sample, Winning Eleven 3D Soccer, Super Street Fighter IV 3D Edition, Resident Evil Revelations, Samurai Warriors Chronicle, Dead or Alive Dimensions, Ridge Racer 3D, Professor Layton and the Miracle Mask, Nintendogs + Cats, Kid Icarus, and plenty more.